Shoppers at New Canaan's 2016 Farmers Market. 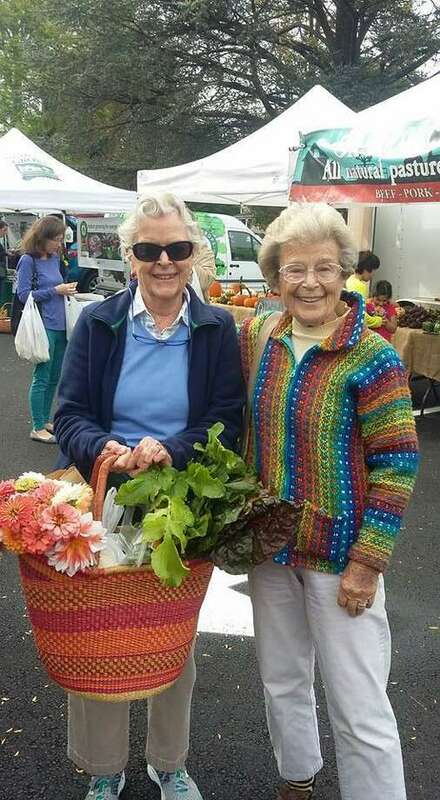 NEW CANAAN — Vendors from around the state and New York will be on hand Saturday for the opening of the New Canaan Farmers Market at the Old Center School parking lot on the corner of South Avenue, Maple and Main streets. According to Lexi Gazy, co-founder and market manager since the 1990s, opening weekend April 22 will offer spring crops like onions, peas and asparagus, as well as other produce. “We’ll have spring veggies and herbs, some stored root vegetables, sustainable meats and eggs and a whole lot of gourmet and handmade products,” Gazy said. New Canaan’s is the first Farmers Market to open locally — Greenwich Farmers Market will open May 14 and Darien opens May 25 annually — and was recently recognized by the American Farmland Trust as a top 50 farmers market in the nation. According to Gazy, there has been some talk of changing the location of the market in the future, potentially to one of the lots behind Town Hall. The move, however, is apparently not imminent. “There is talk of possible construction in adjacent areas to the farmers market, which may affect it in the future, but not this year,” Gazy said. The New Canaan Farmers market summer outdoor market starts April 22, 2017 through Mid-December. On the corner of Main Street/Maple Street/South Ave.
First Selectman Robert Mallozzi III confirmed, explaining that the market may move once construction begins on the New Canaan Library, but that the market would certainly not be affected this season. Though the market received approval last year from the Planning and Zoning Commission to allow a vendor to sell wine, Gazy said that no vineyard has yet expressed interest in joining the market this year. The absence of an alcohol vendor at this year’s market comes amid debate among Hartford legislators over whether or not to allow farms to produce craft beers for sale on site and at markets. Though no craft beer will be sold from New Canaan’s market, Gazy said a potential wine distributor is still being sought. The market will also celebrate its Earth Day opening with a water conservation workshop, led by resident Heather Lauver. “Every day is earth day at the farmer’s market. It’s a nice way to kick off the season,” Gazy said.